Use this de-auth API when your users want to remove a Works with Nest connection. 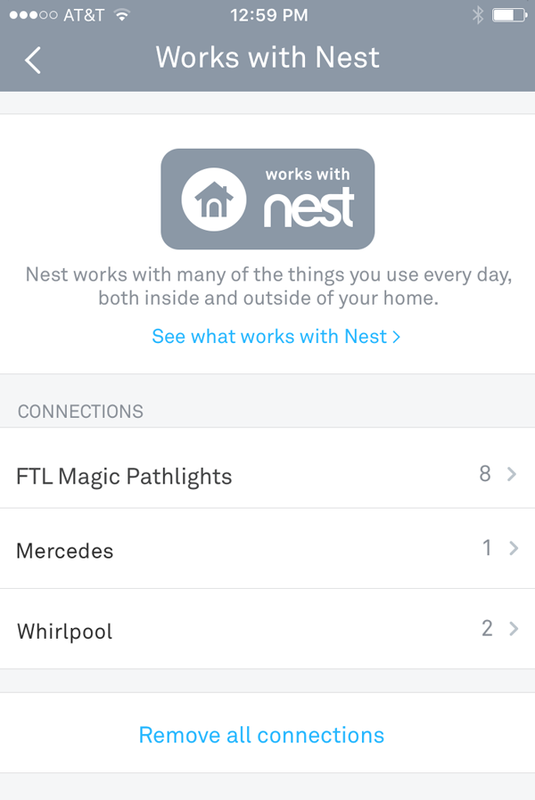 Instead of sending users to the Nest app, you can end the session from within your Works with Nest product. When you make a deauthorization call, or a user removes a Works with Nest connection (deauthorizes your product), we'll close any open sessions and remove your Works with Nest connection from the Nest app. Any future API calls with that access_token will fail. curl -v -X DELETE "https://api.home.nest.com/oauth2/access_tokens/c.bQBC1A..."
After an access_token is deauthorized, it will no longer return successful API calls from your app. The invalidated access_token is removed from the Nest service and must also be removed from your persistent storage and cache.